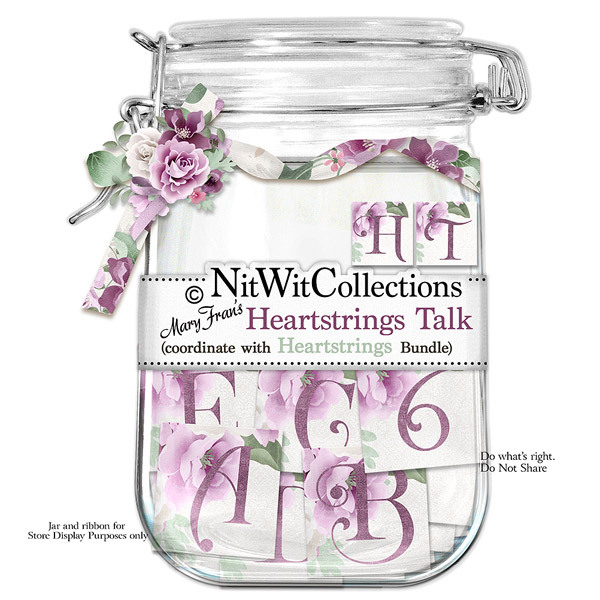 "Heartstrings" Talk gives you a creative way to accent names, dates, words of emotion or so much more in your scrapbook layouts, cards and mini albums. Use this delicate alpha to say what's in your heart. 1 Alphawit set of uppercase letters, &, apostrophe, blank tile, period, question mark, quotation mark and set of numbers(0 to 9).